Xavier started Judo at the age of 10, as the minimum age required for the practice of karate was 14 years old back then in France. As soon as he reached 14 years old he switched to karate and never looked back. 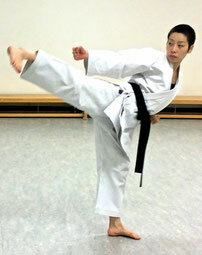 In 2000 he qualified as a Karate instructor in London where he also studied Taekwondo extensively for over 4 years. With over 30 years of experience as a Martial Artist and 19 years experience as a Karate Instructor, Xavier has trained in France, England, Japan, USA, Spain, Italy and with the best instructors the world has to offer including Masters Okazaki, Kanazawa, Miura, Yaguchi, Ochi, Takahashi, Ohta, Richard Young, Ahcene Moussaoui, Jean-Pierre Fisher, legendary Wayne Otto (9 times World Champion), and multi-time European and World Champions Christophe Pinna and Alexandre Biamonti, who have always been the greatest inspiration and influence for him. He joined the world famous karate Federation JKA (Japan Karate Association) in 2000 which ISKF was part of until they became independent in 2007. Xavier also has 30 experience as a competitor. 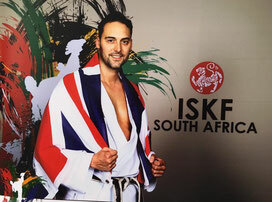 He was part of the ISKF National Squad representing ISKF UK in national and international competitions. His last tournament was at the World Karate Championship in Cape Town, South Africa in 2016. Xavier continues to attend seminars on a regular basis to extend his knowledge to ensure his classes are of the highest quality and in the safest environment. AMAA registered & insured instructor, DBS checked. REPs (Register of Exercise Professionals) registered & YMCAfit qualified Personal Trainer. Nao was born in Nara city, the ancient capital of Japan filled with temples of different denominations and eras. Our Dojo has been named after a conception (Yui-Shin) she learned through her visits to Todai-ji, one of the oldest and most revered temples in the region. 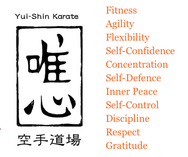 In 2009 she co-founded Yui-Shin Karate Dojo and has been assisting both children and adults classes since the very first day. Nao is one of the first students of Xavier, and has also been under mentorship of Grand Master Yutaka Yaguchi since 2012. Nao regularly attends and interprets international seminars and workshops of Shotokan Karate, Kobujitsu (ancient martial arts), and other styles in different parts of the world. AMAA registered & insured instructor, enhanced DBS checked, Level 1 Child Protection, First Aid certified.